NOTE- Users will be compulsorily required to furnish this information when their winnings cross ₹9,800. What is Rake ? Ans. Rake is a nominal amount of fixed commission fees charged by the cardroom for conducting gaming services. It&apos;s a fixed percentage of the Pot amount. The winner is awarded the Pot after deducting the said Rake. Gamentio will deduct Rake at the rate of 4% on all games. How does Gamentio referral scheme work? Ans. When you invite your friend via SMS, you get 40 Coins instantly and once your friend sings up using your referral link/code and verifies his/her phone number, you get additional 60 Coins. Thus, a total of 100 Coins will be added to your account on a "successful referral". Your referral will get 250 welcome Coins. *Note: You will get instant 40 coins only when you are inviting via SMS. If you are inviting via Whatsapp, FB or any other medium, you shall get your 60 Coins only after your referral verifies his phone number. What is a Gamentio Pro app? Ans. It&apos;s an extension of Gamentio app. Additional to other games, you can participate in Poker and Rummy cash tournaments and play real money games (Poker and Rummy only). User Information and Verification: Users will be required to furnish a few personal information for verification purposes, which will in turn be verified before a user wants to withdraw his/her tournament winnings. Please read Poker Rules and Rummy Rules carefully before you start playing. ** Winnings can be withdrawn in cash. 2. On certain top hands and combinations (Poker, Teen Patti, Rummy, BlackJack, Slots). What are the uses of Gamentio Coins? 3.Buy Gamentio merchandise (New) . 5.Unlock the higher stakes rooms (New) . Is there an age limit to play on Gamentio? Ans. Gamentio 3D Poker, Rummy and Teen Patti are suitable for individuals of age 13 years and above and the age limit to play on Gamentio Pro is 18 and above. Do I need to give any bank or credit/debit card details to join and play on Gamentio? Ans. All Gamentio games are played with virtual currency that you receive on signing up,therefore, no bank details or credit/debit card details are required to play on Gamentio. (Sign Up, Play Now) . Also, when you add money to your gamentio account via Credit/Debit card, you are redirected to Payment Gateways. Gamentio doesn&apos;t store your credit/debit card info in any case. Can I play with only my friends on Gamentio ? Ans. 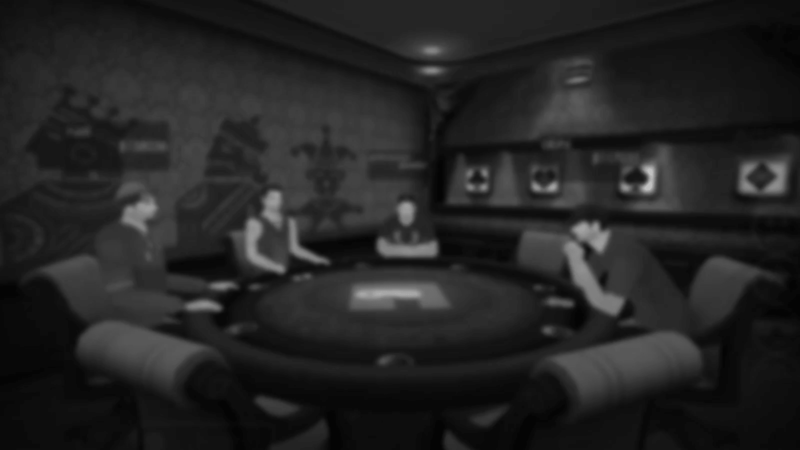 Yes, the Gamentio 3D gaming experience allows you to invite and play with your friends by way of creating Private Rooms to enhance the gaming experience even more. Play Now . Can I pause a game in the middle and resume it later ? Ans. No, Gamentio 3D games cannot be paused. If at any time a player wants to quit a game , they can do so by leaving the game by choosing Exit to Lobby option. Can I play offline on Gamentio ? Ans. Yes, Gamentio provides its users with Solitaire, which they can play offline. What&apos;s the time limit within which I have to make my move? Ans. Each player gets fifteen seconds to make a move but in Rummy a players gets 30 sec shown by way of a countdown timer. However, due to inherent differences in the gameplay of each Game on Gamentio the rules regarding time lapses vary. Please refer to individual Game&apos;s Rules for better understanding. (Poker Rules, Rummy Rules, Teen Patti Rules). If you have signed up using fake/ non-verified Account. Consequent to this, all your earned rupees will hereby be forfeited and your account will be blocked. (Disclaimer) Note: Please refrain from indulging in any such illegal or unethical practices. Failing to do so will force us to initiate more stringent legal proceedings against you. Is the referral scheme open to everyone? Ans. Yes it is open to everyone. Report any suspicious or potentially illegal activity to Legal or Governmental authorities. We hope you find the above information helpful. Please contact us at support@gamentio.com for any further details, we would love to hear from you.